In January, after being plagued by a right IT Band issue prior and during the Savannah marathon (Sept-Nov 2017), I was beginning to experience the same difficulties on my LEFT side! ARGH – could it be?! Bilateral ITBS. I was less than thrilled to know that I’d be undergoing another series of weeks strengthening for my upcoming marathon that March. One day I ran across Michael Crouch’s profile on Instagram. He’s a coach with McKirdy Trained and is a crazy skilled runner, and also has a few pretty talented athletes under his umbrella. And, hello, his wife Sara is also ridiculously speedy, too! 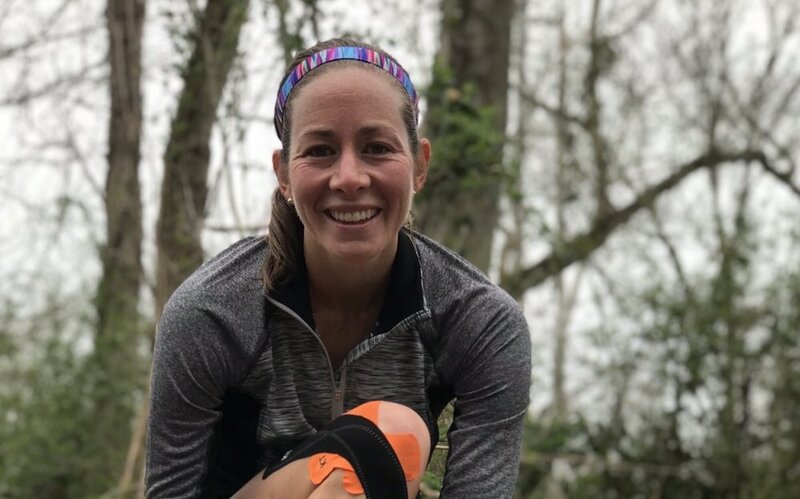 I forget what exactly spurred it on, but somehow we ended up connecting one snowy SC afternoon and had a quick conversation about injury, upcoming races, goals, etc. And while at the time I was somewhat in the middle of a training cycle, we decided that moment was the best to take on a different coaching approach, but he did offer one great piece of advice as I continued training. It really was simple in words, but I was clueless. Why, how, when, and all of the other questions started flooding my mind. I knew it was a number – how many steps per minute you take while on the run. My Garmin would always record it, and I was camping in the 162-170 range for every run, slow or fast. But why was it so important to increase that number? Cadence is one of the most common pieces of data used to measure running form and performance. The shorter your stride length, and the quicker your stride rate, the faster and better you run = maximum performance and lowered injury risk. A number of studies have suggested that a higher running cadence helps to adjust a runner’s form which can lead to fewer injuries. The slight increase in stride cadence can lead to a significant reduction of loading on the knee and hip joints, which might help prevent some of the most common running injuries (like my previous IT band problems). Among the running community, a cadence of 180 and higher is what is suggested as ideal, but that really can depend for each person. But for whatever reason, the higher cadence brings about a smoother gait, a more effective stride, and the ability to control pace. By increasing your cadence, you’ll reduce impact on your joints and decrease your risk of injury, you’ll boost performance and save energy, and you’ll enjoy gliding on your runs, more than grinding (WeavRun). So how do you increase your cadence? Or how do you even know where to start? The old method would suggest you time yourself for a minute and actually count your steps within that minute. But since we’ve got some technology on our side, you can use a GPS watch (like the Garmin VivoActive3) or a GPS app that helps track that data (like Strava). The data received after a run will tell you your average cadence over the entire run, but with Garmin data, you can actually track you cadence throughout each mile and moment of the run. Once you’ve got your baseline, it’s time to get to work – but not too quickly. You probably don’t want to increase your cadence too quickly. Shoot for a 3-5% increase over the course of a few runs at a time. The best resource to increase your cadence? WeavRun – an app available on Apple (coming to Android soon). It seriously took all of the guessing out of the game. The app also stores activity history, and will sync with your Apple Watch or upload to Strava, so it’s perfect for recording all of your information and putting it in the right place, post-run. This is where it gets fun, too! You can pick your music playlist, adjust the beats, and go for a run. Once you download and open the app to your smart phone, you can choose where you will complete your activity, and whether you want the app to match your stride (detect your tempo) or you choose your own fixed tempo. If you select “match my stride” you’ll be instructed to begin moving with the music and at that point, the app begins evaluating your natural striding. After that run, you’ll have an average baseline from which to increase. After those first initial runs to measure your cadence, you’ll know what cadence you need, so select “fixed tempo” for the following runs, and use the dial to increase the spm beat for the music. This will allow a smooth progression of increase in cadence over the course of 7-10 runs. I also found that by using it on a portion of my runs (say, the last mile of a 5 mile run), or for a track workout (for the speed intervals), kept me from getting bored with the beat/music. You can even pick from a few different playlists, and you’ll recognize a few of the songs! By running with this “cadence training” you can create a natural feel of landing your feet toward the center (instead of overextending), taking short and quick steps, and landing lightly. You’ll settle into your new high cadence and discover that you can run various speeds keeping the same count. You’ll also find that for the first time, you don’t always seem prone to IT band, hip, or feet injuries. As with anything, don’t make any drastic changes quickly, as that can work against your favor and encourage injury. Gradually increase it over time, and enjoy the rewards of faster, injury-free running! I started cadence training back in February as I was recovering from bilateral ITBS. You can see my first run on the left above. And over the last 6 months, my cadence reaches 178-185 naturally on any given run. You can see from my run on the right in July that I’ve been able to cross over 180 on my runs. I’m feeling strong, energized, and powerful in my training. While I’m not a medical professional, nor a certified run/exercise coach, I can speak and encourage from personal experience. If you’re weary from evolving from a running injury, I hope you find success in using the WeavRun app to help you increase your cadence.